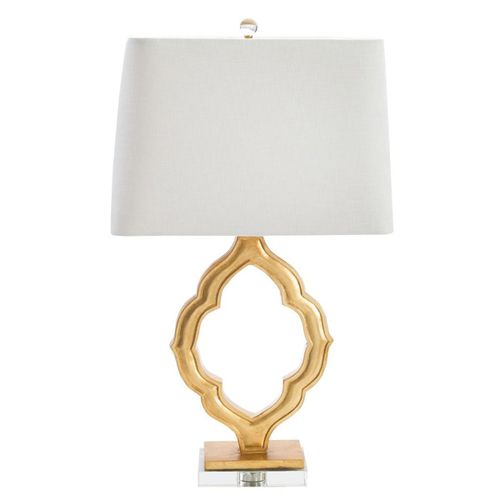 The arabesque-styled body is cast in resin and covered in luxurious gold leaf. This sits on a base that is made from optic crystal and gives the whole lamp added global style. Topped with a rectangular white linen hardback shade with rounded corners. The pale gold faux silk lining is an exquisite contrast. This lamp has a 3-way switch and requires a 100 watt bulb, not included. Lamp Height base to shade btm: 17"